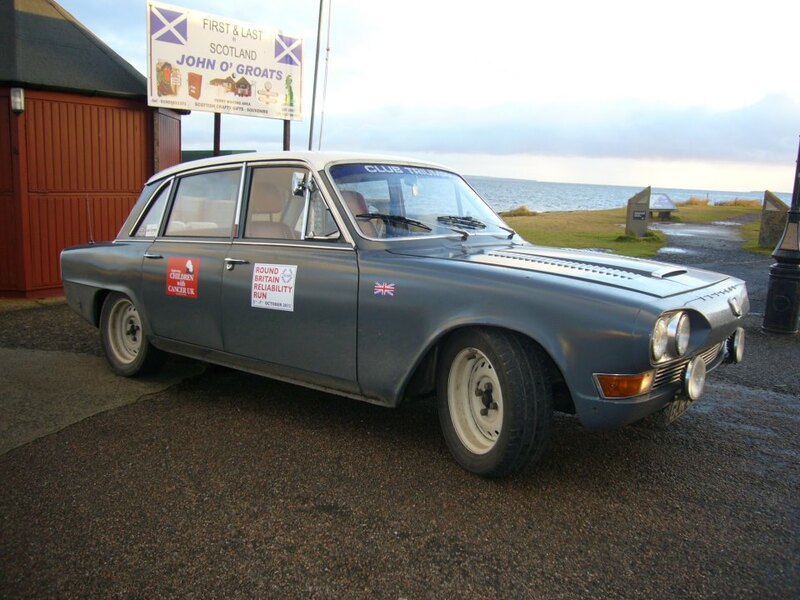 Club Triumph Round Britain Reliability Run: The Starring Cars! This page is all about this years entrants and their cars-send a pic and some words and see your car here! UPDATE CARS THAT DESERVE A WHOLE PAGE TO THEMSELVES! !-click on the cars in bold for the full story..
Dave has kicked us off with the Iron Maiden..a name given due to the comfort level offered by the seats! Owned by David Langrick from Nottingham. Car 29 in the 2016 RBRR. Owner has entered 13 consecutive Runs since 1990 - with 13 Finishes. The car has completed 7 runs - 2016 will be its 8th bash round. "My 1500HL Dolly was purchase a couple of years back both to use as a Triumph to fit both kids in and also to use on the RBRR. The first time Jason Chinn saw it he christened it "The Flying Log" and the name kind of stuck a bit like poo to a blanket. Very Apt as his naming was due to the 70s poo brown bodywork in glorious "Gusset Brown". Also very apt as like a turd it's also Brown on the inside. In fact after 2 days and 2,000 miles on the RBRR with the gasses emitted by 3 blokes stuffing themselves with pies it probably smells like one too! 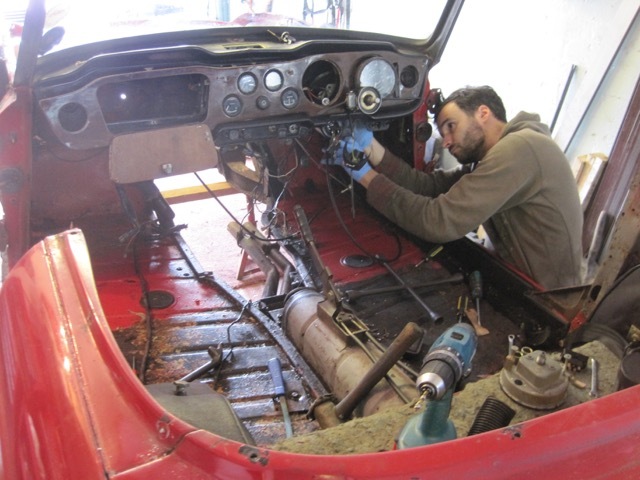 The car used to be owned by Darren Sharp our Club Secretary and he completed an RBRR in it back in 2006, "Team Flying Log" were successful in 2014 so the 2016 run will be the 3rd time of asking"
CAR No 58 My car has been completely rebuilt over an 18 month period to fast road specification, and returned to the road in June 2013. I use the car for track days, trips to Lemans, Round Britain Reliability Runs, and the 10 Countries car run held once every years. The car is very reliably and a pleasure to own and drive. My son Stuart and I are RBRR 'first timers', as team 23, in my 1976 Spitfire 1500. At this moment in time, the Spit is currently undergoing a restoration, for which I am aiming to have completed and back on the road by the end of June. This should give us a fair bit of time to carry out some long distance road trials and driving in poor weather/hard rain to check for leaks, wiper capability etc. We are looking forward to meeting other teams and to completing the first, of hopefully many more to come, RBRRs! Team No. 24. Steve Radley, Darren Sharp, Dave Saunders. Looking forward to the 2016 event as ever and as many more before me or the car can't take it any more! 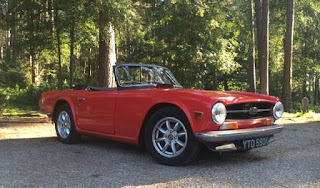 Our 1971 Triumph TR6 was purchased back in 2012, as a simple father and son simple restoration project with the aim at passing on simple car maintenance skills. Unfortunately, it quickly turned into a complete bottom up nut and bolt restoration, and required us to teach ourselves MIG welding, complex electrical wiring and the nuances of the Lucas PI system. 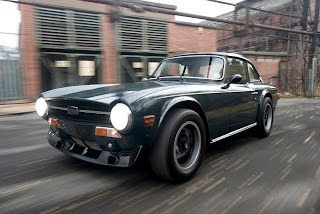 The car was finished in 2014, and along with all of the usual TR6 upgrades, the car features a custom wiring loom, and complete home made interior by very patient wife/mother. This will be the first RBRR that we have entered, and will be a proper test of the hard work that has gone into getting the car back on the road. Available in hard and soft top form (we’re still debating the pros and cons of each) and can’t wait to be on the start line in October. 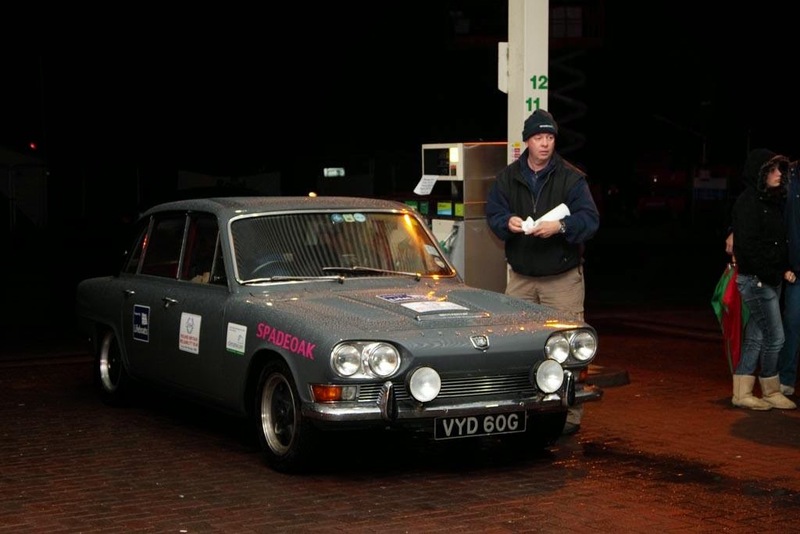 Round Britain Reliability Run. The car emigrated to Belgium sometime early this Century but was repatriated four years ago. Driven by Richard, who last drove the run in 1990; Grant, a South African; and Bob, an ex-Police driver. The only problem so far is that all of us are big blokes and the back seat of a Stag isn't big at all. Here's a picture from 26 years ago - Broadfields has gone, the car has gone, and I can only wish I was so thin these days! Spitfire 1500 GBW678V Owned and restored by me 14 Years ago. 1st. RBRR 2012 my co driver was life long friend Steve. Had a few problems with the new petrol pump I fitted but finished OK.
2nd. RBRR 2014 my co driver was my oldest son Daniel. Clutch release lever pin fell out. Finished OK with gear crunching for the last 1000 miles. 3rd. RBRR 2016 will be with my old work mate Chris. Hoping for a trouble free run and another successful finish. 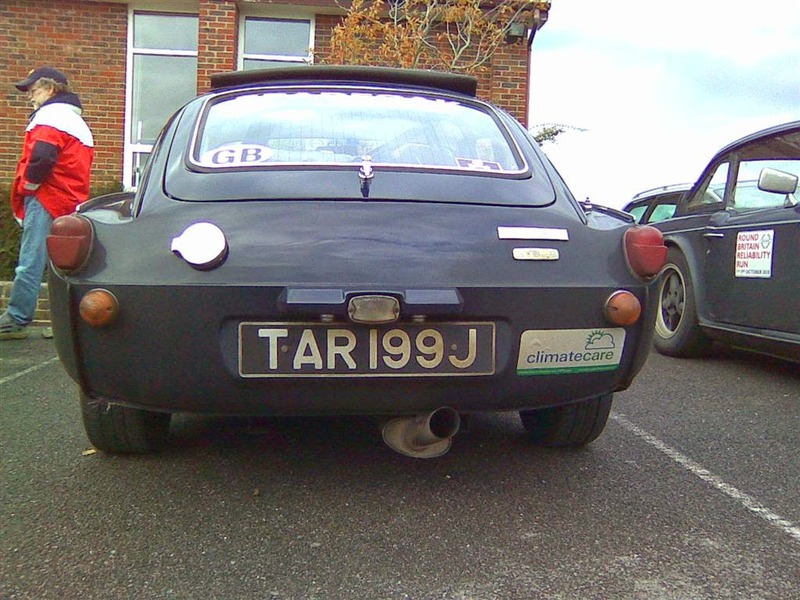 Lessons learned from the first RBRR was to give the car a good workout at least a month before the start to make sure any new bits fitted are OK. I have now entered every RBRR since 1988 and have managed to complete all, apart from the last one in 2014, retiring at Blyth in my GT6 due to rocker shaft oil starvation issues. So, my first RBRR was in 1998 when I entered the event using the GT6 with my old friend Daryl Stonor. 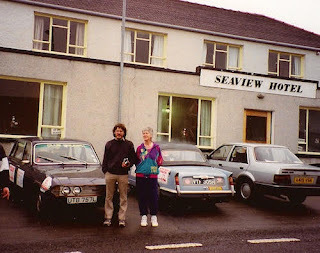 Diz, as he is known, owned a GT6 in the mid eighties and therefore was familiar with driving these little cars, even in 1998 they seemed to feel a lot older and more involving than moderns, nowadays they seem completely different as one has to drive them and think about what one is doing! The RBRR had been on my radar for some years, I had joined CT in 1994 with the express purpose of entering the event, but for some reason I did not, probably thinking I had the rest of my life to do such a thing. In retrospect, this is completely wrong, seize the moment! The thoughts behind entering the RBRR were simple, the year before my Dad had passed away and it made me think that I needed to start doing things before I became too old. 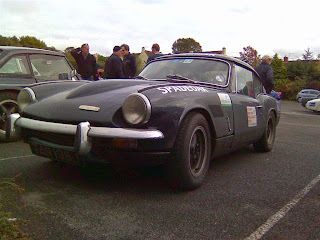 I had been following the nascent old car rallying scene and always thought that the GT6 would make a good tarmac rally car, indeed watching one of the first Pirelli Classic Marathon videos that Duke issued, one novice team had a GT6 mk1 had done really well before retiring due to transmission issues. Remembering this, I felt that although the RBRR is not a competitive event, it would be good to use her and see what it would be like to drive her for such a long distance. By this point I had owned the car for 15 years and had more or less replaced or worked upon every aspect of the car. So we entered the 1998 RBRR and did a fair bit of planning for the event, following the Drivers Meeting at The Plough we realised that the event was going to be a lot harder than we thought. The following days before the weekend’s start were spent marking up a road atlas and trying to familiarise ourselves with the route. We also discussed costs for the event, and after the obvious realisation that the cost of fuel was always going to be a limiting factor decided that we should keep the engine speed down, not get too carried away and just drive within the pack of the event. The day of the event dawned well and after starting the car, I could smell coolant. A quick examination and I realised that the bottom hose was leaking. 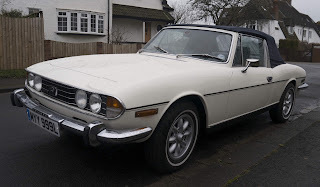 After picking Diz up in Staines, we shot to Twickenham to buy a full set of hoses from Bill Livingstone of Six Spares (good bloke was Bill), we then legged it to the start at The Plough, arriving within time to have a brief meal and chill out before the start. Once the event got going we quickly got into the flow of the event, even allowing for horrendous traffic on the A1 (m) and sitting in a jam just before Blyth Services. After leaving Blyth the moment when I realised that I would be taking part in more than one RBRR happened: We were toddling up the A1 (m) at the speed of 65-70mph by the cooling towers at Wetherby, when I looking at my rearview mirror I could see a lot of cars coming up quickly on the outside lane of the road, these cars all had dim lights, therefore marking them out to be Triumph motor cars. The first car being a yellow TR3A (subsequently found to be Andy Flexney’s super example)that was being followed by six or seven big Saloon Triumphs, the noise and impression of speed was immense and exciting. I looked at Diz, muttered something about forgetting about economy, knocked the car out of overdrive and went after them, joining the tail of the pack. The rest of the event seemed to be similar, lots of great roads that offered the chance of fast but safe driving. In fact I thought/think the GT6 was an ideal RBRR car as it is great on fast A roads. At the finish of the 1998 event, I got out of the car totally knackered but full of smiles at having taken part in the best event/challenge of my life! I loved it! 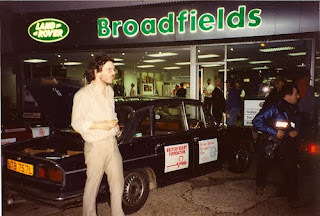 Now for years I had been in another Triumph club, where without being rude the only fun was either parking in a field with other Triumph cars, or going to watch various people who obviously had deeper pockets than mine competing in either hillclimbs or races, therefore not a lot of fun was being had. The RBRR seemed to offer all types of driving, people who seemed to like their Triumph cars, quality scenery and of course some fantastic machinery. So the RBRR has become a way of life, the only downer being that it was only held every two years, the wait back then seemed interminable! This ‘way of life’ became ever so true following my entry into the 2002 event. I wrote upon my entry form that I was willing to help out in anyway with the organisation of the event. Blimey, what do they say, ‘Never volunteer’! Derek Pollock, one of the two that originated the RBRR back in 1966 and the main organiser at this point wrote back to me saying that he would be pleased to have me on board. So for that 2002 event I helped out where I could especially with Nigel Abdullah when he needed to go recce’ing for the new sections of the event. Derek decided that the event should be organised by someone new for 2004, so I took over, doing everything apart from the Route (Nigel) and compiling the Road Book (Derek). I thoroughly enjoyed the experience, it was a bit nerve wracking, but ultimately I did not make any errors so have remained as the main organiser since then. Luckily, the event being so popular has meant that some good people have offered help, and we now have a very capable team of six people including myself doing the work. I cannot over emphasise how enthusiastic the organising team is about the RBRR, they all take the job seriously, and work their socks off to produce an event that is challenging but also a lot of fun. In fact I have to sometimes temper their enthusiasm as they are always coming up with new ideas, some being truly bonkers, but some that are inspired! The best things about the RBRR are the start, seriously I cannot think of anywhere I would wish to be but at the start of the event on the first friday of October in even numbered years, fantastic. It is a busy day for me as I seem to be running around making sure all is good, meeting and greeting entrants, so many of them being good friends. What I love about the RBRR is that one always has the stress about thinking about if the car will make it around, this gives the event an extra edge of worry/excitement! Once going, one has to fall into the mindset of thinking about getting to the next Control on time. Then of course, one starts to drive the roads and after the A1 section, the roads just get better and better, the obvious faves being the whole section from JOG to Stirling and then the saturday night Welsh section, a chance to stretch your car and driving prowess. The event is always tempered by news about some retirements, however, one has to keep going. The finish is always great, smiles a mile wide on so many faces, it is terrific! The thought that all the finishing cars have done over 2000 miles in one weekend, more than most cars will ever do in such a short period of time. 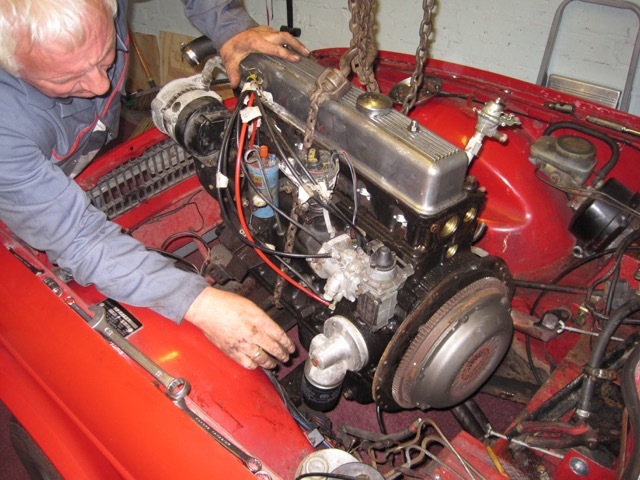 Sometimes one read about Triumph cars being unreliable, I cannot agree, one only has to rock up to the finish of this event and be proved wrong. As mentioned above the only downer about the RBRR is that it is only run every two years, and CT membership between did seem like one was always waiting for the announcement of the next RBRR. However that has changed with the 10 Countries Run being introduced in 2005, following the success of CT member, Martin Randle’s unofficial first one in 2003. Funnily enough, by taking part in that event lead to the cementation of many friendships within Club Triumph that I still enjoy today. 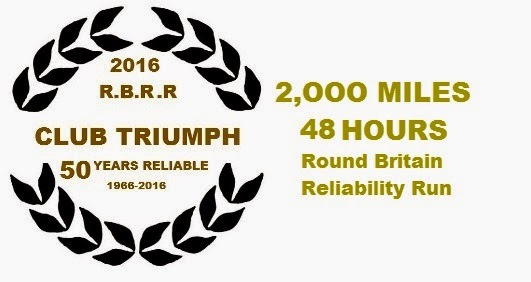 After that, the RBRR and with the formation of the Club Triumph forum, Triumph life has become fantastic fun. But still for me the one Club Triumph event that is truly magical is the Round Britain Reliability Run. 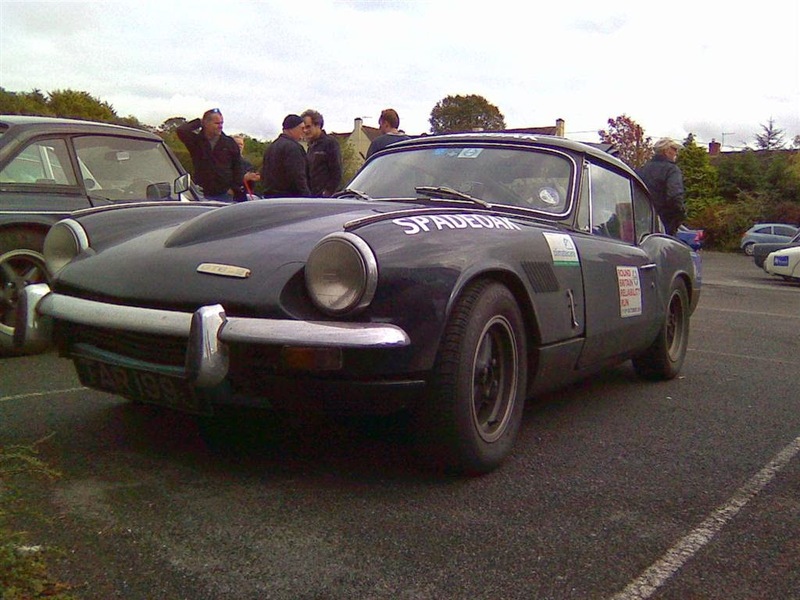 So the Club Triumph Round Britain Reliability Run, it is a top event! Chris gunby told me I was mad to do this in this car. Solid some v light surface rust an immaculate interior and saffron! The car currently is 25miles off 10,000 from new . 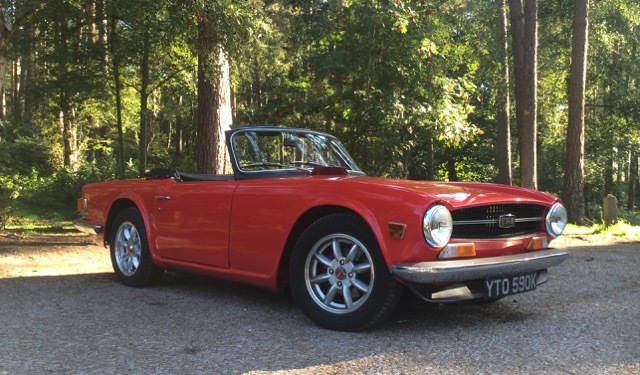 I have had triumphs 25yrs and this will be my first rbrr and hopefully a great car to do it in. 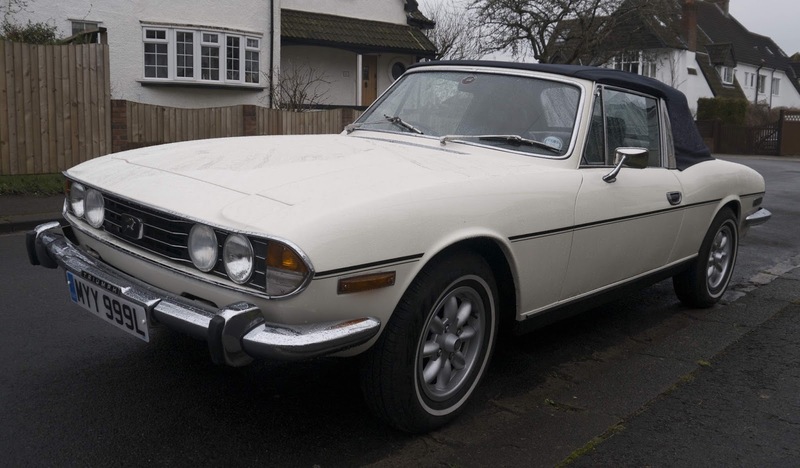 Car No.50 is Mabel, a white 1972 Stag on the very first RBRR for the car, but the second for the driver. The last time was 26 years ago in a 2.5PI masquerading as a 2000.